Leading fitness industry experts agree that tech investments are key components to running a successful health club in today’s increasingly competitive market. 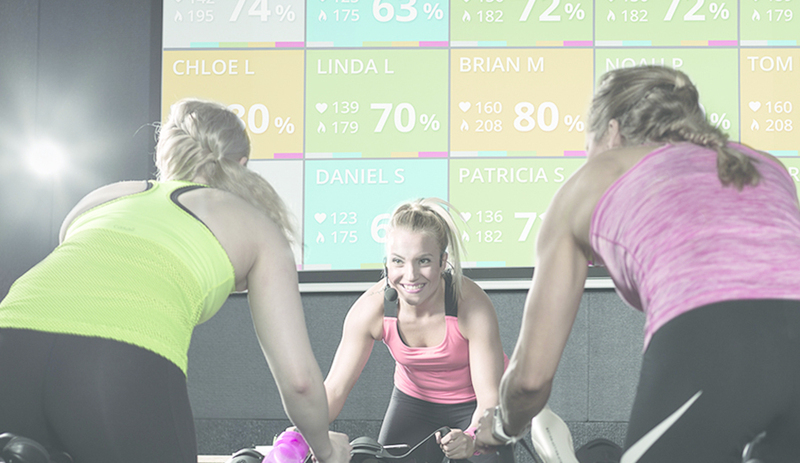 Sometimes, it seems like health clubs have a love/hate relationship with technology. It’s widely accepted that technology can improve club operations and the member experience, but, with the plethora of tech solutions in the fitness market, choosing the right products can be dizzying for health club owners. Sure, investing in technology might be complicated and expensive—but it’s necessary; experts agree that tech investments are key components to running a successful health club in today’s increasingly competitive market. And, while fear of accumulating more bills is why many health club owners don’t make substantial technology investments, spending your money wisely in the tech space could ultimately benefit your bottom line. “You can substantially increase your ROI using technology properly,” says Dave Johnson, co-founder of ECOFIT, a networking cardio fitness equipment company out of Victoria, British Columbia in Canada. Johnson, who also serves on the FIT-C board, says health club owners who have limited resources should be making strategic technology investments in order to satisfy members and keep facilities running smoothly. The first step to making a strategic technology investment—think long-term. The rich data many tech solutions generate provides another opportunity for cost-savings. For example, some health club chains are using programs that capture the movement and patterns of members within the club, tracking everything from sauna use to treadmill traffic. “You can judge what kind of facilities and services you offer based on where your client base is spending most of its time,” Lockington says. He says he knows of a club that has member-tracking software connected to the building’s utilities, so they can adjust the HVAC and lighting systems in order to cut down on costs. Other clubs use programs that monitor equipment use, allowing management to identify popular cardio locations (often near windows and TV screens) and rotate the machines to extend their life. Johnson, whose company provides a solution that tracks equipment use, says smart technology investments focus on existing assets, like members and equipment. Of course, one of the best ways to retain members is by improving the member experience—and technology can play a major role there, too. “Investing in technology or equipment that has technology embedded in it is a great way to provide and enhance the experience to the member,” Lockington says. For example, when a member is able to view their workout statistics on an app on their phone, they can measure their progress over time and see their potential for growth in the future. For health clubs with limited resources, there are several strategies you can implement to stretch your technology budget. If you’re looking to invest in a member-facing application, avoid paying the full-price until you know the app will yield results. Instead, test the app’s entry-level option to find out if it resonates with members. Johnson also advises that clubs with limited budgets avoid large infrastructure investments. One such investment is technology that enhances the group X experience, Lockington says. “I firmly believe that group exercise classes are the most profitable component of a health club these days, and that’s where I would be investing my dollars,” he says. It wasn’t long ago that heart-rate straps and exercise room TV screens were a $50,000 investment, but now health clubs can do a lot more for a lot less. Spending on group X technology “is a great way to have some steady cash flow coming in all the time,” Lockington says.